Fire doors are one of the most important safety devices in your place of work and this is why Realm Fire and Security are proud to be a supporter and participant in Fire Door Safety week 2018. Fire doors are a crucial part of the passive fire protection of every commercial, public and multiple occupancy building. They save lives and property. There are now around 3 million new fire doors bought and installed every year in the UK, the vast majority made from timber. Fire doors are often the first line of defence in a fire and their correct specification, maintenance and management can be the difference between life and death for building occupants. However, they remain a significant area of neglect, often the first thing to be downgraded on a specification and mismanaged throughout their service life, propped open, damaged and badly maintained. – To raise awareness of the critical role of fire doors, drawing attention to specific issues such as poor installation and maintenance. – To encourage building owners and users to check the operation and condition of their fire doors and to report those that aren’t satisfactory. – To link together the initiatives of many organisations with common interests in the fire door and passive fire protection industries. – To engage and educate people, helping the whole building industry and every property owner to understand the correct specification, supply, installation, operation, inspection and maintenance of fire doors. 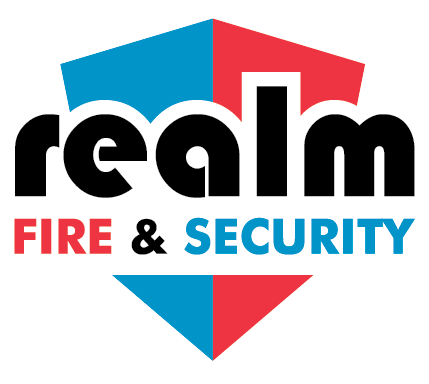 Realm Fire and Security can provide comprehensive checks of your property and your existing fire doors with a fire risk assessment and can specifically provide you with a fire door inspection. 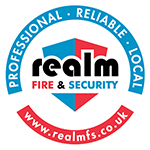 Realm are professional, reliable and local and as Best Service Team 2018 at the Aberdeen Business Awards, you can be sure that we’ll help you with your Fire Doors as much as is needed.